Reduce your transfer times with this fast Micro SD card from SanDisk. With 64GB of storage and UHS Speed Class 3 (U3) rating, this Micro SDHC card is perfect for 4K video capture as well as photo and file storage. Bought many micro SD cards for my mobile phone from other websites and all didn't match with my phone. but Mobile Fun is the top since it has a menu of accessories for each particular model. So rest assured that items are genuine and full working. 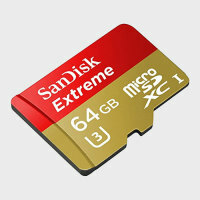 With speeds reaching an impressive 90MB/S, the SanDisk Extreme Micro SD card delivers fast transfers speeds. This makes moving around your precious photos and videos quick and easy so you can back up what you've already shot, freeing up space to carry on taking amazing photographs and high definition video. Featuring 64GB capacity, you can save an incredible amount of HD and 4K video, hi-res photographs, songs and much more. The SanDisk Extreme allows you to capture more of the moments that matter without having to delete old photographs and video in order to record new ones. Designed for use with your portable devices, including but not limited to smartphones, tablets or camcorders - the SanDisk Extreme Micro SD card makes it easy to quickly capture, playback and transfer all your favourite media content. Whether watching HD movies or capturing HD content, the SanDisk Extreme Micro SD card can record and deliver impressive high definition content without even breaking a sweat. The Micro SD card safely and effectively stores all your precious data. Ensure your content including music, video, images and audio are available when you need it most. 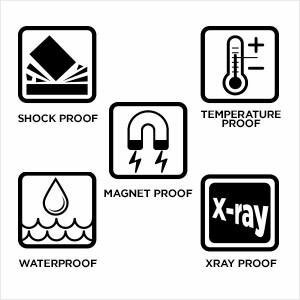 Built to withstand extreme conditions, the SanDisk Extreme features incredible durability against shocks, water, the temperature and even X-Rays. Making this the perfect way to protect your precious data against any inevitability. Also included is an SD adapter, so you can use your Micro SD card within SD card compatible devices too for complete all-round compatibility.